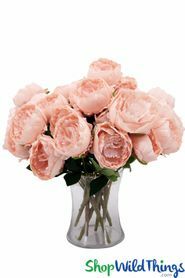 Home > Floral Decor > Flower Bouquets & Sprays > Silk Roses Spray - 3 Heads - 31" - Blush Pink / Yellow & Pink - BUY MORE, SAVE MORE! 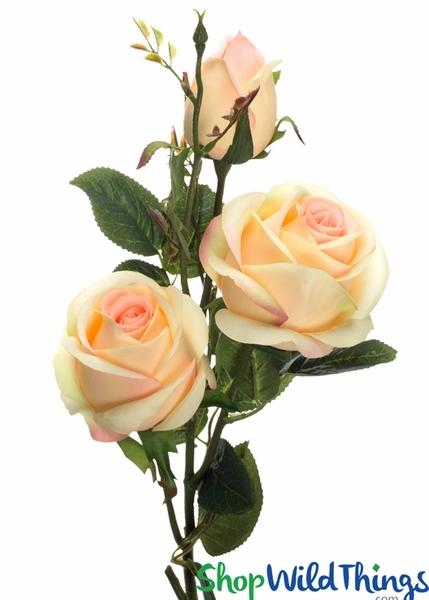 Roses are known for their exquisite beauty, graceful petals and timeless classy elegance! Our Long Stemmed Blush Pink & Yellow Silk Roses Spray has all these wonderful features plus it won't wilt or wither away and you can't beat the cost savings versus real flowers! The entire spray is 31" tall with 2 heads fully open and one starting to open with buds forming on the stem. The full blooms are 3 1/2" to 4" in diameter and the entire spray is approx. 7" wide but the stems are bendable if you prefer a more spread out look. Just like real roses, the edges of the silk petals have a slight ruffle and the coloration on these roses is outstanding! The creamy yellow outer petals blend perfectly with the blush pink center and the combination looks dreamy and expensive! To enhance the natural look, the stem has silk leaves and even thorns - details that make this extraordinary close-up or from afar. 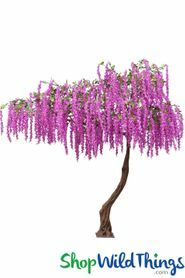 This spray stands completely upright for stunning centerpieces but the main branch and the stems are bendable. 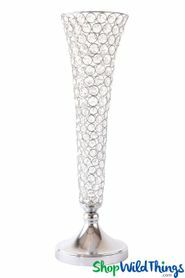 Top off Tall Mermaid Vases or use to add color to wedding aisles, pews, ceremony arches, canopies and Roman Pillar Columns. This extravagant spray looks incredible next to our Fuchsia Pink Rose Spray! Always sophisticated, always fresh, always elegant! Whether your event is traditional, tropical, rustic, beachy or garden-themed, this colorful Rose Spray translates to stress-free decorating for your perfect day!